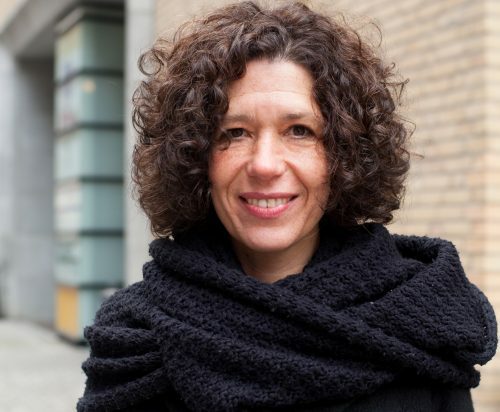 Anja Bauerfeind, Director of Statistics and Methodology, oversees the design and innovative development of ZEG Berlin’s study methodology and serves as a statistical consultant for external projects. Her input is invaluable on sample size calculations, statistical analysis plans, hypothesis testing and modeling. Anja studied mathematics at the University of Applied Science in Berlin, and received her PhD from the Charité Berlin in 2007 in cooperation with MDC (Max Delbrück Center for Molecular Medicine), Berlin, Department of Bioinformatics. She completed her postdoctoral research at MDC, Department of Genetics and Genomics of Cardiovascular Diseases, analyzing high-dimensional genetic data in complex traits by the application of generalized linear models and network analysis. Esparza-Gordillo J, Matanovic A, Marenholz I, Bauerfeind Anja, et al , Maternal filaggrin mutations increase the risk of atopic dermatitis in children: an effect independent of mutation inheritance.. PLoS Genet. 2015; 11(3):e1005076. doi: 10.1371/journal.pgen.1005076. Marenholz I, Esparza-Gordillo J, Rüschendorf F, Bauerfeind Anja, et al , Meta-analysis identifies seven susceptibility loci involved in the atopic march. Nat Commun. 2015; 6:8804. doi: 10.1038/ ncomms9804. Günther C, Kind B, Reijns MA, Berndt N, Martinez-Bueno M, Wolf C, Tüngler V, Chara O, Lee YA, Hübner N, Bicknell L, Blum S, Krug C, Schmidt F, Kretschmer S, Koss S, Astell KR, Ramantani G, Bauerfeind Anja, et al , Defective removal of ribonucleotides from DNA promotes systemic autoimmunity. J Clin Invest. 2015; 125(1):413-24. doi:10.1172/JCI78001. Paternoster L, Standl M, Waage J, Baurecht H, Hotze M, Strachan DP, Curtin JA, Bønnelykke K, Tian C, Takahashi A, Esparza-Gordillo J, Alves AC, Thyssen JP, den Dekker HT, Ferreira MA, Altmaier E, Sleiman PM, Xiao FL, Gonzalez JR, Marenholz I, Kalb B, Pino-Yanes M, Xu CJ, Carstensen L, Groen-Blokhuis MM, Venturini C, Pennell CE, Barton SJ, Levin AM, Curjuric I, Bustamante M, Kreiner-Møller E, Lockett GA, Bacelis J, Bunyavanich S, Myers RA, Matanovic A, Kumar A, Tung JY, Hirota T, Kubo M, McArdle WL, Henderson AJ, Kemp JP, Zheng J, Smith GD, Rüschendorf F, Bauerfeind Anja, et al , EArly Genetics and Lifecourse Epidemiology (EAGLE) Eczema Consortium. Multi-ancestry genome-wide association study of 21,000 cases and 95,000 controls identifies new risk loci for atopic dermatitis. Nat Genet. 2015; 47(12):1449-56. doi: 10.1038/ng.3424. Rintisch C, Heinig M, Bauerfeind Anja, et al , Natural variation of histone modification and its impact on gene expression in the rat genome. Genome Res. 2014; 24:942-53. Rat Genome Sequencing and Mapping Consortium., Baud A, Hermsen R, Guryev V, Stridh P, Graham D, McBride MW, Foroud T, Calderari S, Diez M, Ockinger J, Beyeen AD, Gillett A, Abdelmagid N, Guerreiro-Cacais AO, Jagodic M, Tuncel J, Norin U, Beattie E, Huynh N, Miller WH, Koller DL, Alam I, Falak S, Osborne-Pellegrin M, Martinez-Membrives E, Canete T, Blazquez G, Vicens-Costa E, Mont-Cardona C, Diaz-Moran S, Tobena A, Hummel O, Zelenika D, Saar K, Patone G, Bauerfeind Anja, et al , Combined sequence-based and genetic mapping analysis of complex traits in outbred rats. Nat Genet. 2013; 45(7):767-75. Esparza-Gordillo J, Schaarschmidt H, Liang L, Cookson W, Bauerfeind Anja, et al , A functional IL-6 receptor (IL6R) variant is a risk factor for persistent atopic dermatitis. J Allergy Clin Immunol. 2013; 132(2):371-7. Caglayan S, , Bauerfeind Anja, et al , Identification of Alzheimer disease risk genotype that predicts efficiency of SORL1 expression in the brain. Arch Neurol. 2012; 69:373-9. Knüppel S, Esparza-Gordillo J, Marenholz I, Holzhütter HG, , Bauerfeind Anja, et al , Multi-locus stepwise regression: a haplotype-based algorithm for finding genetic associations applied to atopic dermatitis. BMC Med Genet. 2012; 13:8. doi: 10.1186/1471-2350-13-8. Marenholz I, Rivera VA, Esparza-Gordillo J, Bauerfeind Anja, et al , Association screening in the Epidermal Differentiation Complex (EDC) identifies an SPRR3 repeat number variant as a risk factor for eczema. J Invest Dermatol. 2011; 131:1644-9. Marenholz I, Bauerfeind Anja, et al , The eczema risk variant on chromosome 11q13 (rs7927894) in the population-based ALSPAC co¬hort: a novel susceptibility factor for asthma and hay fever. Hum Mol Genet. 2011; 20:2443-9. Heinig M, Petretto E, Wallace C, Bottolo L, Rotival M, Lu H, Li Y, Sarwar R, Langley SR, Bauerfeind Anja, et al , A trans-acting locus regulates an anti-viral expression network and type 1 diabetes risk. Nature. 2010; 467:460-4. Esparza-Gordillo J, Weidinger S, Fölster-Holst R, Bauerfeind Anja, et al , A common variant on chromosome 11q13 is associated with atopic dermatitis.. Nat Genet. 2009; 41:596-601. Marenholz I, Kerscher T, Bauerfeind Anja, et al , An interaction between filaggrin mutations and early food sensitization improves the prediction of childhood asthma. J Allergy Clin Immunol. 2009; 123:911-6. Bauerfeind Anja, Knoblauch H, Costanza MC, et al , Concordant association of lipid gene variation with a combined HDL/LDL-cholesterol phenotype in two European populations. Hum Hered. 2006; 61:123-31. H Knoblauch, Bauerfeind Anja, et al , Haplotypes and SNPs in 13 lipid-relevant genes explain most of the genetic variance in high-density lipoprotein and low-density lipoprotein cholestero. Hum Mol Genet . 2004; 13:993-1004. Bauerfeind Anja, H Knoblauch, et al , Single nucleotide polymor¬phism haplotyes in the cholesteryl-ester transfer protein (CETP) gene and lipid phenotypes. Hum Hered. 2002; 54:166-173. H Knoblauch, Bauerfeind Anja, et al , Common haplotypes in five genes influence genetic variance of LDL and HDL cholesterol in the general population. Hum Mol Genet. 2002; 11:1477-85. Follman M, Heinemann Lothar A , Bauerfeind Anja, Garbe E, Treatment with potentially hepatotoxic drugs and the risk of hepatocellular carcinoma: results of a European case - control study. Pharmacoepidemiol Drug Saf . 2000; 9:417-22. Strohmeyer D, Rössing C, Bauerfeind Anja, et al , Vascular en¬dothelial growth factor and its correlation with angiogenesis and p53 expression in prostate cancer. Prostate. 2000; 45:216-24. Strohmeyer D, Rössing C, Strauss F, Bauerfeind Anja, et al , Treatment with potentially hepatotoxic drugs and the risk of hepatocellular carcinoma: results of a European case - control study. Prostate. 2000; 42:26-33. Mantay K, Bauerfeind Anja, et al , Risk of serious hypoglycaemia and use of antihyper¬tensive drugs in a cohort of diabetic patients treated with insulin. Pharmacoepidemiol Drug Saf . 1999; 8(Suppl.2):257. Mantay K, Bauerfeind Anja, et al , Antihypertensive drug treatment and the risk of severe hypoglycaemia in patients treated with oral antidiabetics. Pharmacoepidemiology and Drug Safety. 1999; 8(Suppl.2):258.